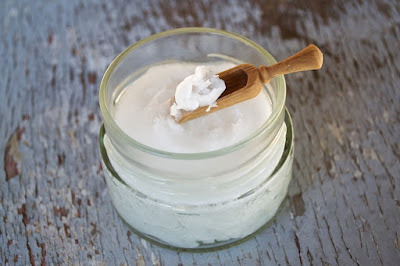 Everyone had heard at least some of the buzz surrounding coconut oil nowadays. Once shunned for its high fat content by the health conscious, today more and more people are realizing that coconut oil actually offers a wide variety of health benefits, not only for the body but the brain. The study which came out in the journal Neurobiology of Aging is only adding to the growing body of evidence that proves coconut oil to be a true superfood. Alzheimer’s disease, in an aging society where the fastest-growing segment of the population falls in the 85+ category, is a medical problem with huge social ramifications. It is also a problem which medicine has failed to tackle properly: while some prescription medications can (sometimes) slow the progression of this disease, to date there remains no cure for Alzheimer’s and its consequences are devastating. That is why more and more research is being done into natural alternatives to help treat this condition. One possible alternative treatment is found in coconut oil. One of the richest sources of medium-chain fatty acids (MCFA’s) in the world, scientists are only now discovering what affect this oil can have on those suffering from dementia. In this study, whose results were published in the Neurobiology of Aging, 20 participants, all of whom were suffering from Alzheimer’s, were given either a dose of emulsified MCFA’s from coconut oil or a placebo. It was found that those who received the MCFA treatment showed a significant rise in ketone levels within 90 minutes and that this levels continued to rise or hold constant throughout the day; furthermore, this rise in ketone levels was associated with an improved performance on the Alzheimer’s Disease Assessment Scale, a means of measuring cognitive function in those with this diagnosis. All subjects given this treatment did better on this scale than those who had received the placebo. Why is Coconut Oil So Effective as a Treatment? So why did the coconut oil used in this study have such a dramatic effect on participants with Alzheimer’s? Scientists theorize that the answer may lie both in the structure of the MCFA’s and the nutritional needs of the brain itself. Under normal circumstances, the brain – like much of the body – uses glucose as its primary energy source. However, when insulin resistance or other metabolic problems develop, the structure and function of the brain are altered and ketone bodies become a useful source of energy for the brain. The medium chain fatty acids, such as those in coconut oil, are oxidized in the liver because of their simple structure and if they are present in large enough quantities, they can provide the fuel that the brain needs to carry on its functions. So consider using coconut oil (or coconut milk, which will still high in these healthy fats) to your diet on a regular basis. It will not only provide your body with healthy fats, but fuel and support healthy cognitive function and even prevent the onset of mental decline and dementia, leading to improvement in both the body and the brain.